On November 30, 2002, a Law Alumni Delegation comprised of seventy-eight (78) lawyers and guests arrived in Cuba with the goal of participating in bilateral professional exchanges and humanitarian efforts. Eight days later our Delegation left after accomplishing its mission. 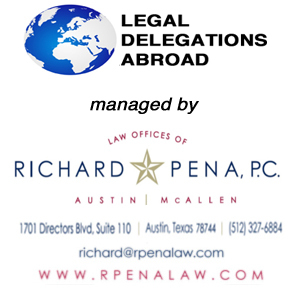 In the process, the Delegation became a cohesive team and represented the American legal profession, People to People Ambassador Programs and the United States with honor. With the collapse of Eastern Europe and the Soviet Union, which had acted as Cuba’s benefactor, Cuba entered into what is referred to as “The Special Period” in 1990. Its economy was devastated and basic food and goods disappeared. With that began a long economic climb. Tourism was encouraged, the dollar was welcomed, and limited private enterprise was legalized. It was obvious that our Delegation visited Cuba at a historical moment, when a new Cuba was emerging. In this new Cuba the legal system and its lawyers will be very important, as will the relationship with its neighbor of 90 miles – the United States of America. Our large People to People delegation to Cuba was comprised of persons from many different states, a U.S. territory and a foreign country. Why did we have so much interest in Cuba? Each of us had his or her own reasons for traveling to Cuba and wanted answers to various questions: Why do Cuban citizens risk their lives attempting to come to the United States? How does Fidel Castro maintain his grip on Cuban citizens? What legal rights and religious freedoms do Cubans enjoy? What investment opportunities will be available in Cuba for Americans in the future? During our short visit to the island we observed the Cuban people and their living conditions, and we exchanged ideas and thoughts with citizens, government leaders and college professors. What answers did we get to our many questions? We learned many Cuban citizens want to come to the United States because of the freedoms and opportunities available to America’s citizens and its legal residents. In Cuba initiative and hard work may be rewarded by the use of a car or the use of better living facilities. We were told Cuban citizens (with the exception of certain celebrities or government officials) are not allowed to own a house, an apartment, or an automobile, unless the car was manufactured before 1959. Cubans’ average monthly salary is the equivalent of about 9 American dollars. Approximately $3 to $4 of this salary is required to pay for utilities, with most of the balance being used for the purchase of food. Little or no income is available for extras. Living conditions are poor by American standards. The Cuban people appear to be very loyal to Fidel Castro and his regime, but why wouldn’t they be? Their only news sources are the state owned television stations and state owned newspapers. All the billboards we saw extolled the revolution, which occurred more than 40 years ago. Education and medical care are free, although medical equipment and supplies are limited. Hotels and other buildings have been nationalized and converted to apartments for Cuban citizens. Most citizens cannot afford to travel outside Cuba, and those who can have difficulty obtaining a visa. At meetings with law professors, the attorney general and others, we were told about the legal processes and constitutional guarantees available to each Cuban. The Cuban Constitution was adopted in 1959 and has been amended sparingly. With little or no case precedent, virtually no property rights, limited family law protections and with questions concerning what, if any, contractual or tort remedies are available, it is difficult to determine the extent of legal rights and remedies the Cuban citizens have. Apparently the judicial process consists of a tribunal determining the facts and then applying the Constitution, statues or codes in order to arrive at a “just decision.” Religious freedom in Cuba ended in 1959. Although some changes have occurred since Pope John Paul’s 1998 visit, most younger Cubans with whom we visited with did not place great emphasis on religion. Based on our discussions with the Cuban people and some of their leaders and on our own observations, it seems unlikely that Castro’s communist government poses a national security threat to the United States. The Russian departure from the island nation left Cuba in a severe economic depression and with only a limited defense force. However, the face that many other countries are now trading with Cuba and may be gaining an economic foothold in our neighboring nation may not be in the best interest of the United States. Finally, we must remember the warm reception and gracious hospitality we received from all of the Cuban people. They enjoy a beautiful country and an excellent climate. Hopefully the political climate will soon change and our countries will once again become good neighbors.